Chris Pither will not start tomorrow’s race at the Clipsal 500 after a huge smash in today’s second race in Adelaide. The Super Black racer glanced the concrete at vicious turn eight and the car speared across the track, hitting the inside wall hard, causing extreme damage to the right hand side of the car. The accident hasn’t just ruled out racing tomorrow – Prodrive boss Tim Edwards said it won’t be repaired for the not-for-points Formula One Grand Prix in just under a fortnight. “That shell won’t be going to the Grand Prix the damage is so bad,” Edwards told v8supercars.com. The team has spares at hand, but will face a decent workload after the damage. “We have got a spare shell, also the Dunlop Series cars won’t be going anywhere until Perth, so we’ve got no shortage of shells, but it’s a huge workload on our fab shop and machine shop. “By a guess, I’d say that shell will be on the jig for three to four weeks at least. 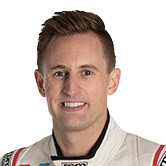 Edwards hadn’t spoken to Pither when talking to v8supercars.com. 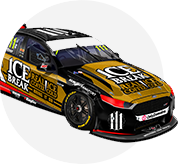 The 29-year old driver was contesting his first Clipsal 500 with the Super Black team, after replacing Andre Heimgartner for the final two rounds on 2015. Pither confirmed on the telecast he was physically ok but was shocked by the hit. “I got a lot of aero understeer – obviously disappointing and I feel sorry for the guys,” he said on the telecast. Tim Blanchard also suffered damage after hitting Garth Tander’s Commodore at the chicane, but managed to get his CoolDrive Commodore back out on track. He had no doubts about racing tomorrow. "We won't make that mistake again"